It looks like the mob has spoken and all future Meetups will be held on the FIRST Sunday of the month.To help you remember the date, think: The FIRST Sunday is Shiba fun day! (Oh man, that's lame but I hope it will help some of you remember). If the Meetup happens to fall on a statuary holiday, it will be up to you guys if you still want to meet for that month or skip it until the following month. I will not be sending out group emails in that regard or future emails announcing the Meetup dates. The meets will continue to be held at the David Gray dog park in Burnaby with the same time slot of 12pm-2pm. The votes were almost 100% in agreement so if it ain't broke, don't fix it! I know not everyone will be able to come out on a Sunday due to other commitments. There were quite a few requests for Saturdays but there were far more Sunday votes and I had to go with the majority. But there's no reason why the Saturday people couldn't meet the day before the actual Meetup. Saturday could be the "pre-Meetup". If that's something the Saturday people would like to continue, by all means – go for it! Just make it word of mouth amongst you Saturday-goers as that info won't be up on the website. Well folks, it's an end of an era for us and Vancouver Shiba but it's nice to know that the Meetups will continue on in our absence. There will be no more fundraising for animal charities/rescue groups at the Meetups (unless someone would like to take that on??) but if every Meetup member could make a donation of just $10 to an animal charity of their choice, that would make us very happy! Even though we are living in Ontario now, we are still making monthly donations to the BC SPCA. Please consider becoming a monthly donor and continuing the Vancouver Shiba Legacy of giving back to animals in need. 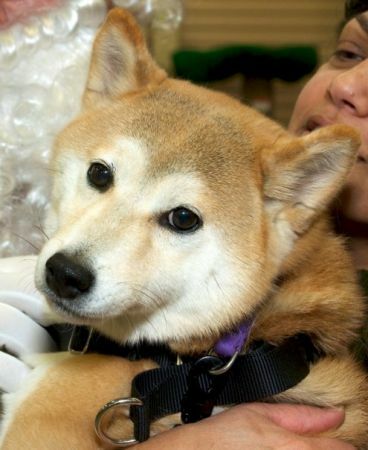 That would be the single greatest thank you that we could receive for our 5 years of work with Vancouver Shiba. I'm still here to hold another Meetup! Most of you are aware that my husband Eric has taken a job in Ontario and has been working there since March. Because I don't have his help anymore, this Shiba Meetup will be pretty basic: no fundraising, no treats, no sign-in table, etc. It will be just the dogs and their humans. So come when you can and stay as long as you like! P.S. In the event of rain on the day of the Meetup, I won't cancel the event but I just might stay home and keep dry. But don't let it stop you from going out and enjoying the rain with some other Shibas. Please be on the lookout if you happen to live, work or pass through Port Coquitlam, for this Shiba. Please share with other people in the area as well. Here is a link to the craigslist post, as well. Takara or Taka as she's known, slipped through a hole under the gate of her dog sitter around 1pm Sunday, April 15th in the Coast Meridian Rd & Prairie Ave area, Port Coquitlam. Taka is a red, spayed female and she is microchipped. She was wearing a purple, cloth martingale collar with a red, heart shaped ID tag.